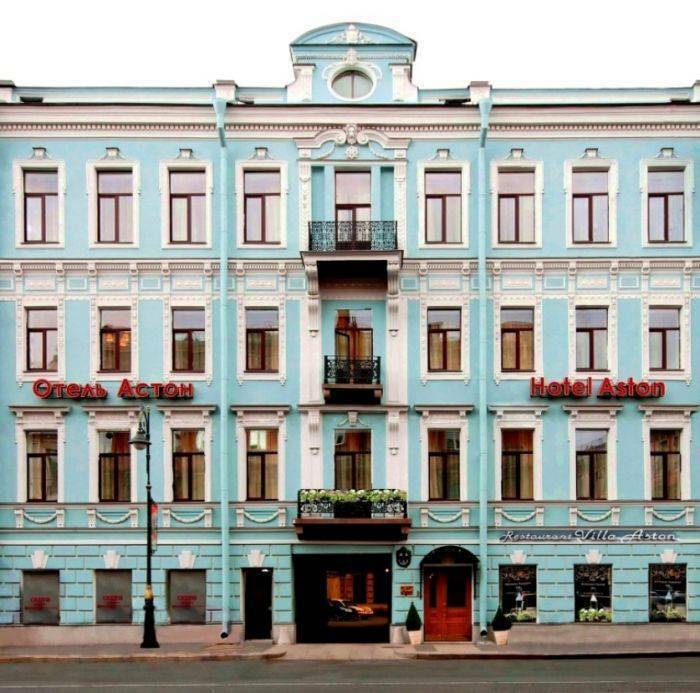 Aston - is italian hotel in Sain-Petersburg. The hotel has 40 rooms of the highest class with a cozy interior at affordable prices, which are divided into five categories (standard + 17M2, 17M2 Classic, Superior twinm 24m2, 24m2 double superior, premium 36m2). Each room has a desk, LCD TV, telephone, air conditioning, free Wi-Fi, safe, mini-bar, private bathroom with hairdryer and a set of bath cosmetics. The bathroom is equipped fixtures imported. Provides fire protection system, rooms for smokers and nonsmokers. 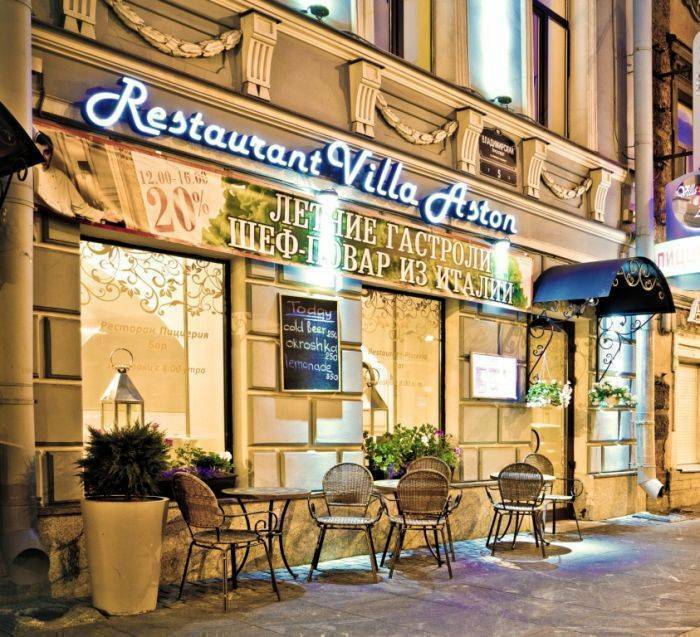 «Villa Aston» - a luxurious restaurant with a sophisticated, not devoid of comfort, interior invites you to enjoy culinary masterpieces. The restaurant offers a large choice of traditional Italian and Mediterranean cuisine. Prepare their undoubted culinary master chef Omar Castellani! Every morning from 7. 30 am to 11. 00 am you can enjoy a real home-made breakfast, "buffet" included in the price. You will be offered porridge, omelets, light salads, pastries, traditional Russian pancakes, cheese cakes, yogurts. If there is a wish to have dinner, then from 12 to 16 hours you can do it with a 20% discount.